The cosmetic parlour and boutique combining leisure treatments with top quality products. 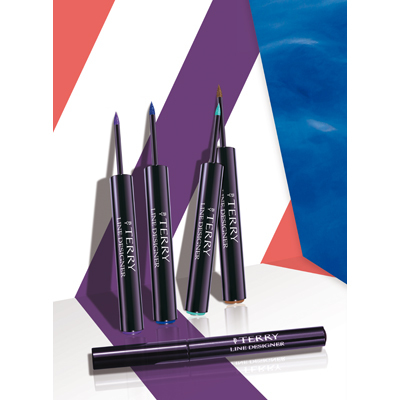 This highly pigmented waterproof luquid eyeliner guarantees graphic and precise line. Its ultra-light applicator is made of flexible and tapered foam to print ultra-fine or wide line, matte or shimmer for a personalissed look underneath the lashes. The multiple designs and colours can be layered to create various unique effects.